This guest blog post comes from Natalie Bridges, RN. She’s a critical care nurse who jumped into ICU nursing straight out of school. Below is her guest post about ICU survival for newbies. After my first shift in the Intensive Care Unit, I thought to myself, “maybe this was a mistake.” Not knowing any of the routines and having only received a brief, perfunctory amount of training, I stumbled through the night, afraid of the whole experience, even the idea of staying up until the sunrise. I forgot to dump my urine every hour…ok, check, I won’t make that mistake again. I squirmed and cast glances at my fellow new-hires, looking for some reassurance that I wasn’t completely insane for attempting such a feat as the ICU straight out of school. Despite my fears, I made it through the shift triumphantly (at not having hurt anyone) and decided I liked it enough to try again. And after only a few weeks, I knew I was hooked. After finishing nursing school, I came directly to the ICU having no previous nursing experience or even “real job” experience. I had abandoned my college life of thick educational textbooks and late night frozen yogurt trips, and traded it for a paying career, one that would bust open my every expectation. With only a few clinical shifts under my belt, I wasn’t confident in anything, even starting an IV. In short, I had no idea what I was getting myself into in the slightest. After five years in the surgical ICU with countless codes, bedside procedures, late night hurried travels for a STAT head CT, and every kind of trauma you can imagine, I’ve learned that I thrive off of the excitement and adrenaline of the ICU. But it takes time, effort, and grit to get there. I’ve also precepted numerous novice nurses, timid and scared, not sure if they made the right decision either. Every new nurse understands that feeling and has recognized it from time to time when thrust into a new situation. (If you punted me into labor and delivery, I would shake at the knees). You grow comfortable with what you know, the types of patients you see, and the staff around you. 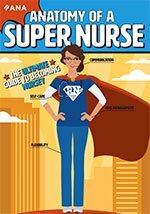 So if you’re a new nurse, how do you deal with transitioning to the ICU, especially without any experience? It can be tough, but not impossible and here are a few tips from my personal encounters and the experiences of nurses I’ve counseled. There’s nothing more loathsome than a know-it-all brand new recruit who refuses to listen and argues with every correction or redirection. Your preceptors and educators want to see you succeed and the right attitude on your part will make the process immensely easier. Every preceptor is different and will require a slightly altered version of their routine. Go with it. Learn as much as you can; imbibe it all like a little sponge without complaining. Even if you had previous nursing experience, let them teach you without contradicting or fighting their advice. They know the unit much better than you do and they are trying to impart their sage wisdom to you. Stick with humility, learning as much as you can, and don’t be afraid to ask questions. The more senior nurses understand that you are fresh out of school with no actual skills, and they also don’t want you to kill anyone under their supervision. Ask the question before you make a mistake, even if you’re unsure. We would rather you ask about the route or dosage of a medication then have to fill out the paperwork for a medication error. Inquire about resources from your preceptors on topics you will see often and want to familiarize yourself with beforehand. Get comfortable with unit policies and procedures. Observe all that you can. Everything moves fast in the ICU and despite your best efforts at taking a lame patient, you may end up with a disaster before the night is over. Your stable GI bleed patient may code and die. You may get a septic patient from the ED who requires central lines and vasopressors. You could get stuck with the uncontrollable patient who, despite your best cajoling, requires maximum restraints and a frequent dose of Haldol. Some procedures aren’t done too often so you may only get one chance to observe before it’s your patient the next time. Take a deep breath, rely on your resources (you’re never alone) and step up to the challenge. You just never know, so you have to adjust quickly, relying on your preceptor for help. Flexibility is key in these situations, and also not letting fear impede your ability to perform your job. Example: I remember one fateful night soon after I had finished my supervised shifts when I received a GI bleed patient from the ED who we spent all night placing lines on and then started CPR at shift change. I stayed late to assist with the code, which ended in his unfortunate death. I left that morning haggard and disheveled, having not eaten or gone to the bathroom for twelve hours. But I had survived my first code and my coworkers encouraged me on my ability to handle the situation. I felt accomplished, the rush of adrenaline keeping me awake for the rest of the morning, and knew that the ICU was the absolute best spot for me. After a few weeks or months, you may decide the intensive care is not your strong suit. If you decide to transfer, that’s ok. The pace and intensity of the ICU isn’t for everyone and that’s why there are different types of jobs for different types of nurses, all valuable and important. If you’re starting in the ICU soon, congratulations! It’s going to be a fun experience, full of vomit and chest compressions and upset family members. But remember at the end of the day- you are making a difference in the lives of your patients and their family members. It’s all worth it. YouTube has tons of great free videos (Khan Academy, for one), or check out your speciality nursing organization (the American Association of Critical Care Nurses has tons of great resources for critical care – HIGHLY recommend becoming a member), or you can check out the NRSNG Academy. NRSNG Academy works like a monthly fee, so once you feel like you’ve extracted the value and knowledge you need to be more successful at the bedside, you simply cancel. There is a ton of information in the entire academy that would be applicable to the newbie nurse and it would take a few months of membership to equal the cost of purchasing each individually. Right now NRSNG Academy features all their courses with a 7 day trial for just $1. Here is a list of books that are also helpful for newbies to critical care!